Canada finished second in the tournament and that result puts them second in the series as well - climbing past USA who finished 4th in the tournament. NZ now are 2 for 2 and sitting at 40 points, Canada at 34, USA 32, Australia at 28. The top 4 finishers get a berth in the 2020 Olympics. There are 4 more stops on the series for the women including Langford in May. On Day 2 Canada got by Ireland and Australia to meet NZ in the final but fell 26-14. Two Canadian players made the tournament Dream Team, Brittany Benn and Bianca Farella who were outstanding for Canada at the tournament. 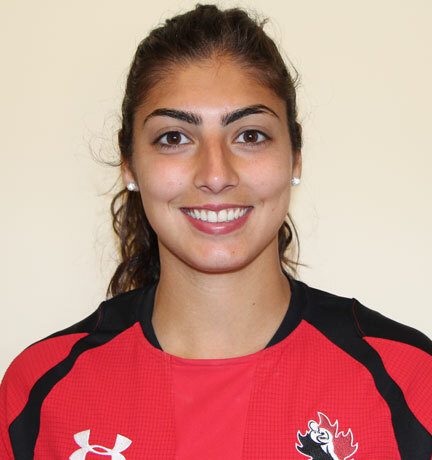 Off the first possession of the game it was Kaili Lukan who started the scoring for Canada. Bianca Farella followed her up with two tries in a row, bringing her to six tries so far in the tournament. Ghislaine Landry added on two conversions to bring Canada up 19-0 at the half. Ireland managed to break through the seemingly impenetrable Canadian line and touch down for a try in the second, but a run by Olivia Apps started off the offensive drive for Canada. It was then Pam Buisa who scored her first-ever try and secured Canada’s spot in the semi final match, with the 24-7 victory. After another New Zealand score it was Julia Greenshields who turned on the afterburners and dotted down for Canada. Bianca Farella was given a yellow card for a high tackle and New Zealand capitalized on it, scoring another try and solidifying their series win, 26-14. Canada went 3-0 on Day 1 and looked in fine form with lots of confident, straight ahead running when gaps were available. They'll face Ireland on Day 2 in the playoff round. Ireland finished second in Pool A behind NZ while England topped Pool B knocking of reigning Olympic champions Australia who are still struggling to reclaim their form. The full match videos courtesy of CBC Sports and the Rugby Canada match reports are posted below. 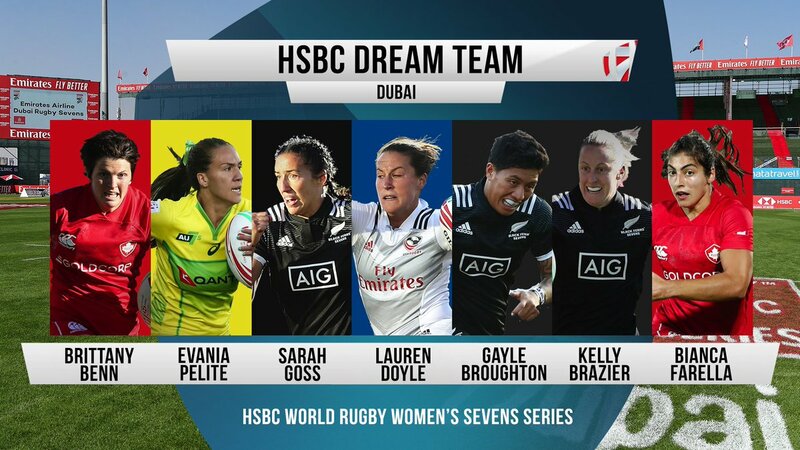 Canada’s Women end day one of the Dubai Sevens Series undefeated and will move on to the Cup Quarterfinals. A quick try by Britt Benn started off the scoring in the second. With the help of a great driving effort by Sara Kaljuvee, Greenshields dotted down two more tries to secure a hat trick. Olivia Apps was good for two conversions bringing the final score to 38-7 in Canada’s opening match. Britt Benn started off the scoring with her second try of the day, but it was quickly answer by France’s Chloe Pelle. Kaili Lukan went on a brilliant 70m run to score her second of the day. After another French score it was 14 all at the break. Next up is the Cup Quarterfinals with opponent still TBD. With a first place finish in Pool C, the ladies will now be playing for some hardware in day 2 of the tournament. Kick off for the Quarterfinals is at 1:06am ET/ 10:06pm PT. Watch all of the action LIVE on cbcsports.ca. 5. Bianca Farella, Town of Mount Royal RCF (Montreal, QC) ? 6. Julia Greenshields, Sarnia Saints (Sarnia, ON) ? 8. Ghislaine Landry,Captain, Toronto Scottish (Toronto, ON) ?